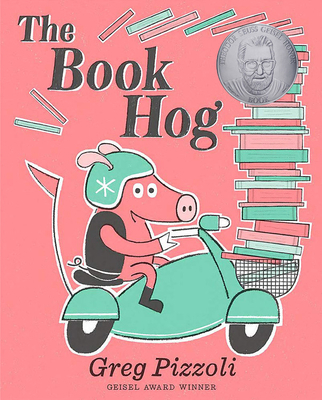 The Book Hog loves books-the way they look, the way they feel, the way they smell-and he'll grab whatever he can find. There's only one problem: he can't read! But when a kind librarian invites him to join for storytime, this literature-loving pig discovers the treasure that books really are. Geisel Medalist Greg Pizzoli presents a new character who is sure to steal your heart in this picturebook full of humorous charm and vivid illustrations. Greg Pizzoli is an author, illustrator, and screen printer. He is the author of This Story Is for You, The 12 Days of Christmas, Good Night Owl, a Theodor Seuss Geisel Honor book, Templeton Gets His Wish, Number One Sam, and The Watermelon Seed, which received the Theodor Seuss Geisel Award. Visit him at www.gregpizzoli.com.